Leaders on the Montreal Canadiens have been passing the torch from generation to generation for many a year, yet it’s not always from captain to captain. Considering the recent misfortunes of the Canadiens premiere defender, Andrei Markov, it should come as no surprise to some that thoughts of passing the torch have begun to stir once again. Like it or not, the writing is on the wall as it would appear that Markov may be forced to pass the torch to PK Subban as the Canadiens number 1 defenseman. Andrei Markov’s recent injuries leave a litany of question marks about his future. It may be hard for some to accept, but it’s easy to agree that Markov has been the team’s best defender for the better part of the last decade and one of the best the team has seen in nearly 25 years, yet his unfortunate recurring knee injuries, be they unlucky or not, seem to be spelling the end of Andrei’s days as centerpiece of the Canadiens blue line. Although Subban hasn’t been able to enjoy that much time being mentored by the team’s longest serving player, it’s clear to see that PK has learned alot in his brief NHL career. In 14 playoff games and 18 regular season games, Subban has quietly emerged as the team’s best defenseman – something that took Andrei Markov more than his fair share of time to do. Now, Markov’s injuries over the last 2 seasons have ultimately played a major role in how Subban has been thrust into the spotlight, yet not once have we seen any reason to believe he shouldn’t be there. And, given Andrei’s most recent injury and the fact that the extent is still as of yet unknown, could it possibly be safe to say that PK Subban is now officially the team’s number 1 defenseman? The easy answer is yes, as while Markov is out PK will clearly be the defacto number 1 blue-liner, but is it time to officially move on from Markov? Andrei has served the Canadiens well, as he’s been responsible for more than his fair share of the heavy lifting on this team for the last 7 seasons, but as he now enters the latter stages of his career, will Habs management be inclined to commit to him given his recent injury troubles? Would it not be safer to turn their attention to the future? As it stands, although the team boasts quite a few veterans, it’s clear that the Canadiens are moving forward with their youth. In #79’s defense, I am one of Andrei Markov’s biggest fans and do not expect the team to let him go this off-season – regardless of injury problems, yet that doesn’t necessarily preclude the need for the Habs to move on. PK may be young, but he’s already shown that he can be a leader. With a burgeoning talent like PK Subban at the helm, and quite a few more years of RFA status on the Canadiens side, it may be more financially sound for the Canadiens to base themselves around PK. 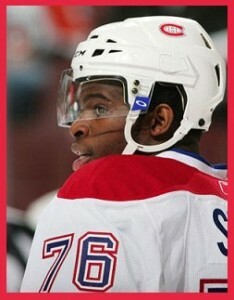 The same can be said for the talent side of that equation as Subban is clearly a gifted skater, passer and shooter. As his fans and team-mates sit and wait in anticipation of the prognosis on his most recent injury, I myself would have to wonder if Andrei wouldn’t be inclined to admit that passing the torch to PK might not be a bad idea? Of course, Markov’s injury may not be as bad as most would think and perhaps he may even make a remarkable recovery, but the Canadiens no longer seem to be in the position where they can wait out his return. Regardless of whether the torch is or is not being passed on to PK Subban, in my opinion the Canadiens have made it very clear that they are ready to give the kids a chance and are willing to let that next generation of Habs take the helm. 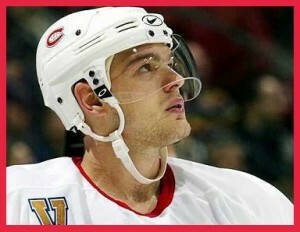 Considering the turmoil surrounding Markov’s injury status and his impending UFA status, would you pass the torch to PK? I will be back later this week with my thoughts on Markov’s pending UFA status and why, regardless of the length of his current injury, the Montreal Canadiens must resign him.